I have been doing a lot of hiking over the years but I really haven't written about the food that I ingest on the trail or off it. I know my readers are waiting on baited breath to hear about every little detail of my hiking life so here goes, let's talk about food bars! 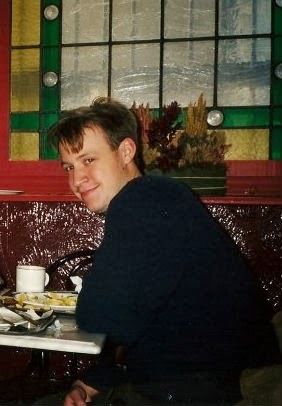 I remember growing up in the 90s (dude, have you checked OUT that latest Seattle grunge band?) and Clif Bars were all the rage. Every kid I knew wanted to eat it to prove their outdoor bonafides in the suburbs. It was a trendy thing, we didn't care about the nutritional aspects of anything just whether we could eat them in our Vuarnet shirts. When I got into hiking a few years back, I naturally gravitated back toward Clif Bars. If you are out on a day hike, you want to keep your energy up, so these bars are packable and munch-able and easy to access. In all honesty, as much as everyone went looney over Clif Bars, I never found their taste to be all that great. If you are on the trail for a longer period of time and eating multiple Clif Bars, you might start hating life after awhile is all I am saying. There is a saying when you hike tall mountains like Mt. Whitney here in California (14,505 feet), you better REALLY like what you are eating at sea-level because at elevation you don't want to eat so you better have something tasty. My search for a better tasting bar led me to ProBar. They have lots of flavors, all of which taste good, Mt. Whitney good, to me. Their original bar (pictured above) is super tasty and packs a punch nutritional. I have also tried their berry blast and yea, it is a blast of berries in the bar. Nutritionally, these bars give you what you need on the trail without giving you a lot of crap in return. 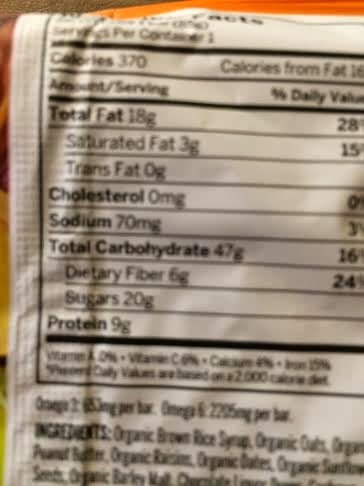 Made out of rice and other organic materials rather than soy, you get 9 grams of protein and 20 grams of sugar in a Pro Bar while only ingesting 3 grams of saturated fat and 70 milligrams of sodium. Protein and sugars are needed, sodium and saturated fat not so much (watch out Dr. Oz, I am coming FOR YOU!) and this bar has a great ratio of protein-to-crap (trademark pending). There are plenty of great bars out there and despite what you might think, I DO eat a Clif Bar on occasion (really like their Sierra Trail Mix bars). For me Pro Bar is the best in taste and delivering me the nutrients I need to hike to a mountain or a donut shop. Do you have any trail bars that you like? Let me know in the comments! I discovered ProBars when my husband and I did a 2.5 month x-country roadtrip with lots of hiking and backpacking since we were in need of more variety in our bars. 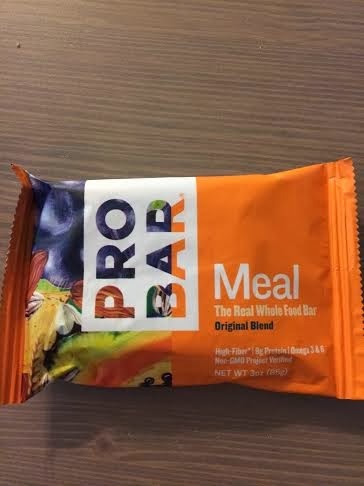 The ProBars are really good! But after that trip I needed a several-month-break from all types of bars... I was so tired of them! Nice, yea these are really good, I ate those from time to time when I hiked the AT. Have you ever tried a Garden Bar? Its like eating a bar of soup, I know it sounds strange but they are pretty good. Hi Katherine, I agree, any bar that you eat day in and day out you are going to get sick of eventually! Hiker FAQ I haven't tried Garden Bars but will definitely check them out!